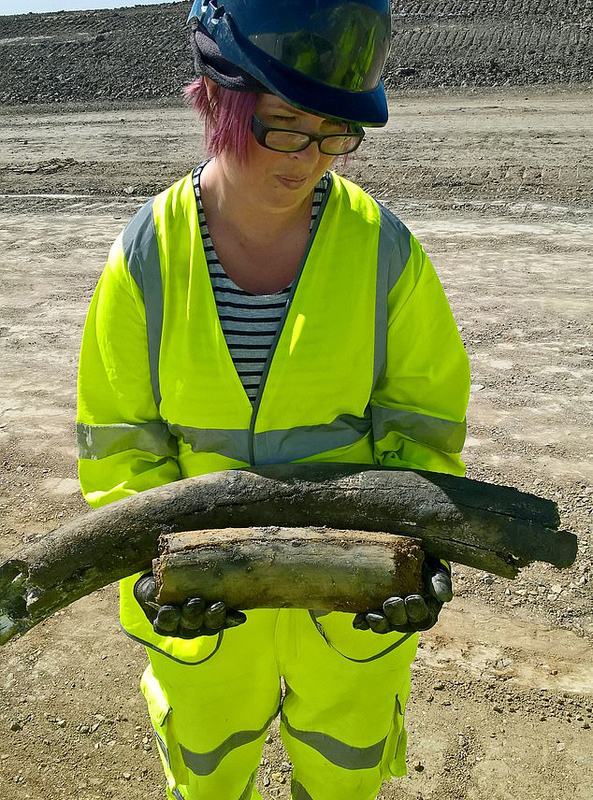 Excavations for the A14 Cambridge to Huntingdon Improvement Scheme have revealed partial remains belonging to extinct megafauna including woolly mammoth and woolly rhino, thought to be at least 100,000 years old. Archaeologists were working closely with plant operators from Walters Group when the remains were uncovered. MOLA Headland consultant Palaeolithic archaeologist Dr Bill Boismier examined the remains, including woolly mammoth tusks and a partial pelvis, and leg and rib bones of the woolly rhinoceros. 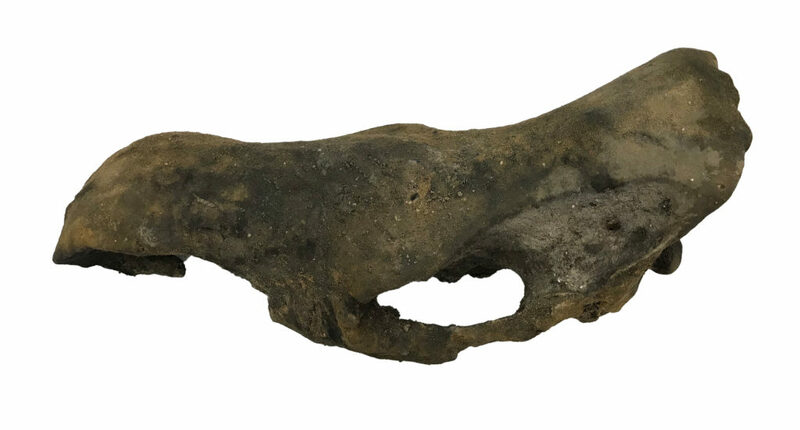 A fragmented skull may also belong to a third species – the steppe rhino – but further study is needed. As things stand, the bones’ main archaeological significance is the insight they offer into Britain’s climate more than 100,000 years ago. Woolly mammoth and woollyrhino tended to live in cool and cold environments, telling us something about the nature of the Cambridgeshire these colossal animals once roamed. The partial skull which may be steppe or woolly rhino © Highways England, courtesy of MOLA Headland InfrastructureIn coming months, a great deal of work will be done to clarify the age of the remains (by luminescence dating to determine how long ago the deposits surrounding the bones were last exposed to sunlight), determine whether they have any potential for DNA analysis, and learn whether these are indeed the traces left behind by Ice Age people.